January 16, 2016. This images illustrates an out of the box type of shot of a groom getting ready for his wedding day. It was taken at a Private Residence in Palm City, Florida. 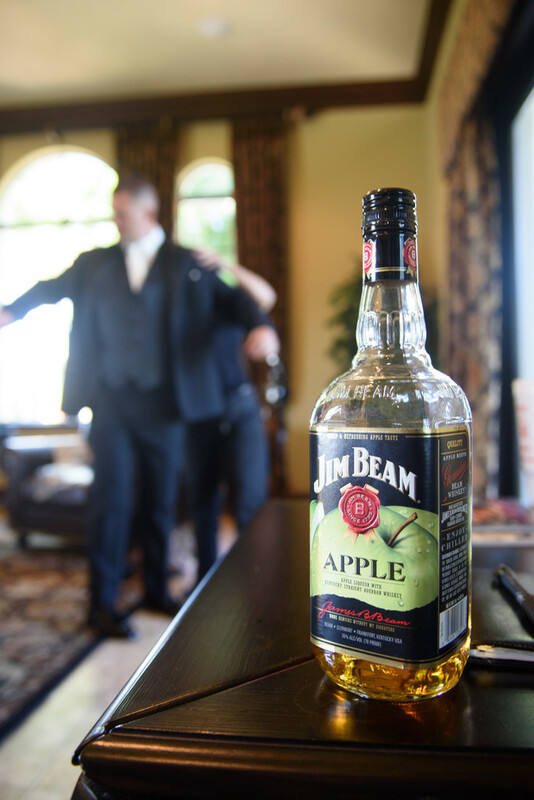 By placing his favorite bottle of Jim Beam in the foreground, a whimsical getting ready shot with a personal touch was captured. Sprinkling in these sorts of non standard wedding images, really sets apart the collection of images we produce. This could be hairspray for the bridesmaids, wedding shoes for the bride, or even mom's head as she watches her son or daughter preparing for the biggest day of their lives.....this technique of storytelling is featured prominently in all our wedding day coverages resulting in a very unique collection of images. Images that make the coverage more personal...more real, and brings the view into the event. Typically getting ready coverage is more heavily concentrated on the bride and her girls, but we love it when time and space allows us to capture some of the groom and the fellas to go with the girls coverage.